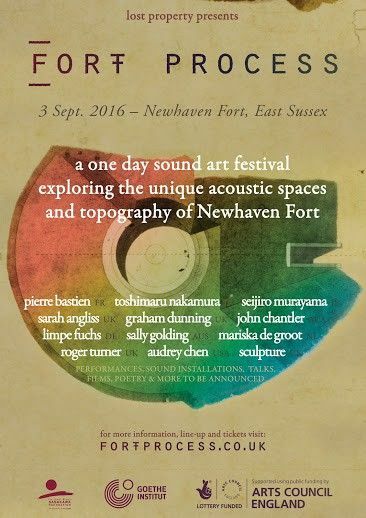 An expansive music & arts festival in the evocative spaces of Newhaven Fort, with an extensive programme of site-specific sound installations, international musicians, talks, films, poetry, workshops. In the fort’s Grand Magazine, a very resonant bunker where the armaments were once kept, the German composer and percussionist Limpe Fuchs will hold court. Now in her mid-70s, Limpe is a veteran of the nomadic experimental counter-culture arts group Anima; she will be bringing to the fort the hand-built large-scale instruments she crafts from granite, scrap metal and found objects. In the corrugated steel-clad Romney Hut the French inventor and trumpeter Pierre Bastien will perform with his music-making kinetic sculptures. Musical automata will also feature in Sarah Angliss’ performance and a space housing the Mechanical Techno alchemist Graham Dunning, creating an event populated, in part, by sentient machines. 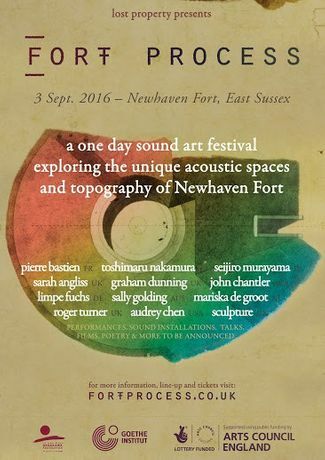 Movement is explored as a significant theme of this year’s Fort Process. Alongside the contraptions mentioned above, emphasis has been placed on the curation of ‘sound and moving image’ - the festival will be presenting Sculpture’s zoetropic turntablism, the expanded 16mm horror-cinema of Sally Golding, and an installation by Dutch artist Mariska de Groot that explores optophonics with her analog ‘light-to-sound’ instruments. Outside the event there will be a programme of workshops from Seijiro Murakama, Eva Justka, Limpe Fuchs, Toshimaru Nakamura and more. Information on this will publicised on the Lost Property website and social network.